The word pepper originated from the Sanskrit word Pippali, meaning berry. It is the most widely traded spice in the world and has been used in Indian cooking since at least 2000 BC. Peppercorns were a much prized trade good, often referred to as “black gold” and used as a form of commodity money. 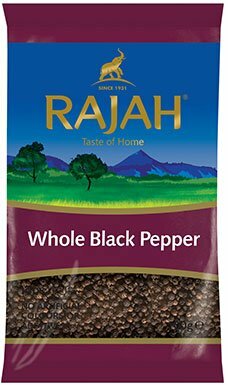 For a long time almost all of the black pepper found in Europe, the Middle East, and North Africa travelled there from India’s Malabar region but now it is produced in Sri Lanka, Vietnam, Malaysia, Indonesia, and many other locations. 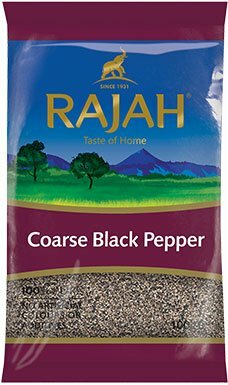 Black pepper requires humid tropical climate with approximately 250 rainy days and a total annual rainfall of 2,000mm to 3,000mm for its vigorous growth. It can be successfully cultivated at 1400m above sea level but ideally requires virgin soil that is well drained and rich in humus content for its cultivation. Generally black pepper is ready for harvesting when a berry in a cluster turns scarlet red. Then they are dried in the sun for about three days until they turn black after which they are ground to make black pepper. Pepper is an ingredient that you use in almost every savoury dish. It is available in many forms, ground, coarsely-ground, cracked and whole. The whole peppercorns are the best choice as they hold their freshness, flavour, and essential oils longer. When storing whole black peppercorns place them in a sealed container in a cool, dry place. 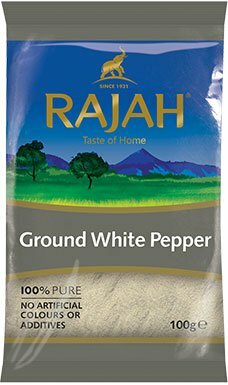 This could make them last anywhere between 2 to 5 years whereas ground pepper begins to lose flavour after about four months. Black pepper is known to help and treat a number of ailments. The oil of black pepper is often added to massage blends and applied to aching or painful joints and muscles. Other health benefits of black pepper include relief from respiratory disorders, coughs, common colds, constipation, indigestion, anaemia, impotency, muscular strains, dental disease, pyorrhoea, diarrhoea, and heart disease.